Got weeds? Apply Weed Free Zone by Fertilome to your lawn now, and get a handle on your weed problem this spring. 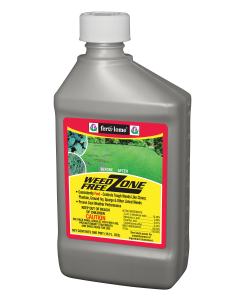 Weed Free Zone provides excellent cool weather weed control for over 80 of the toughest broadleaf weeds including Clover, Ground Ivy, Spurge, Chickweed, Dandelion, Genbit, Oxalis, Poison Ivy, Purslane, Shepherds Purse, Thistle, Virginia Buttonweed, Wild Onion and many others listed on the label. Application Rate: May be applied to Kentucky Bluegrass, Perennial Ryegrass, Tall Fescue, Red Fescue, Colonial Bentgrass, Common Bermuda Grass, Hybrid Bermuda Grass, Bahia Grass, Zoysia Grass, Buffalo Grass, St. Augustine and Centipede Grass. Consult label for specific application rate for each turfgrass listed. 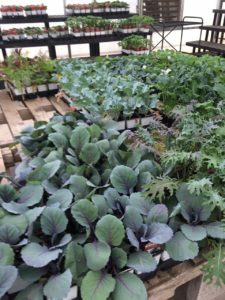 Weed control is an on-going process. Since Weed Free Zone is formulated for cooler weather, it’s a great first application of the season pre-emergent. Stop by J&N Feed and Seed and let our experts help you map out a weed control and fertilization plan for your yard. Join J&N Feed and Seed and Purina Cattle Specialist, Chad Brown for a Cattle Mineral Meeting on Wednesday, February 28, 2018, at noon. Learn more about cattle minerals and have lunch with us right here at the store, located at 450 Pecan St, Graham, TX 76450. You probably know it’s important to feed your cattle a well-balanced mineral supplement, but you might not know why it is. Cattle with mineral shortages or imbalances do poorly in reproduction, lactation, weight gains, body condition, etc. – all the factors that affect your profitability. But most mineral deficiencies don’t show obvious symptoms until it’s too late, and without good records, it’s hard to identify a gradual decline in cattle performance. 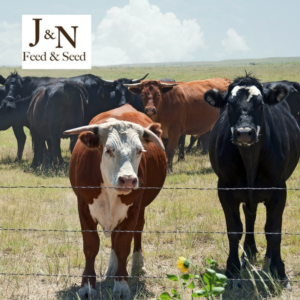 Please RSVP for this Cattle Mineral Workshop by calling J&N Feed and Seed at (940) 549-4631.